While any criminal charge requires a vigorous and detailed defense, the government prosecutes serious violent crimes aggressively. Felony violent crimes such as murder, sexual assault and even manslaughter often also receive extensive media attention. Therefore, if you or someone you love has been accused of a violent crime, you need criminal defense that is skilled both in and out of the courtroom. 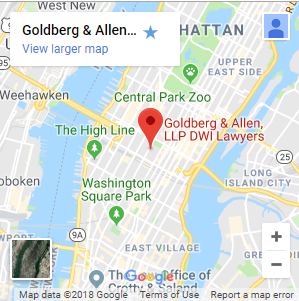 The Manhattan violent crime defense attorneys of Goldberg & Allen, LLP, collectively bring more than 60 years of trial experience in New York City’s criminal justice system to your defense. We have a history of proven results in helping clients defend their rights against violent crime charges. We seek to develop an effective defense strategy tailored to your unique situation and aggressively execute that strategy throughout the duration of your case. We also have expertise managing the press, protecting your privacy and that of your family during this difficult time. 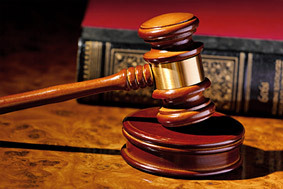 We maintain strict confidentiality with our clients throughout the entire criminal process. Now is not the time to hire a lawyer with minimal trial or criminal defense experience. Put the seasoned support of our trial attorneys between you and the prosecution. For more information, please contact us at 212-766-3366 to discuss your options in a free initial consultation. You can trust our firm to provide the honest and dedicated representation needed to protect your rights, your interests and your future.